How well does current infrastructure provision support the economy? How will mobility trends change in response to the roll out of ’smart’ technologies? What are the new governmental, policy and regulatory challenges that will emerge? 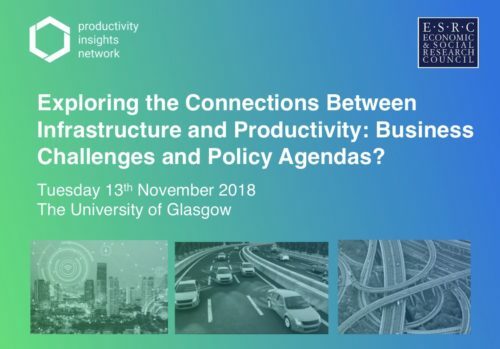 The event took place on Tuesday 13th November 2018 at the University of Glasgow. For queries, please contact: productivity@sheffield.ac.uk.